LTC Pharmacy Solutions provides state of the art medication management systems for assisted living, long-term and transitional care facilities. Our unique med pass system involves customized packaging and quick delivery. Our system is already in use in facilities across the southeastern United States. Our Zip Pack compliance packaging system custom packages each patient’s medicines with the exact dosage. These packages come ready to dispense from a shelving system installed in your medication room, creating accuracy and less waste when dispensing. Patients and their families will feel more secure knowing medicines are accurately dispensed. 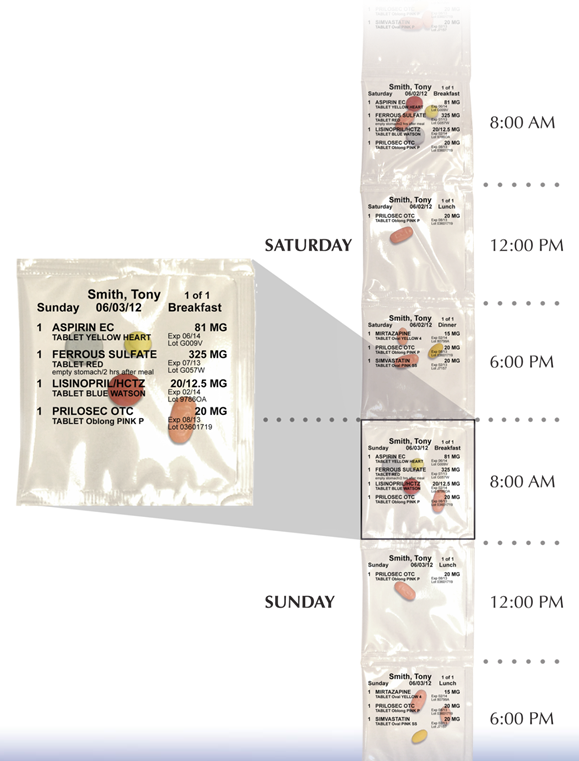 Click above to see how our med pass zip packets make distributing meds easier and safer. LTC Pharmacy Solutions also offers specialty compounding. Converting to the LTC Pharmacy Solutions system is easy. You will receive free training, software and equipment. Call us today to find out more.